February is the shortest month of the year so what better time to showcase some entertaining short stories. All these tales are companions of full-length novels, and will provide readers with a taste of different books and authors. If you are intrigued by the stories you can check out the related novels. As an extra bonus, since these are all 130 pages or less, I am highlighting four stories this month. Corinna Turner has an uncanny ability to create unique worlds in her dystopian and fantasy novels. 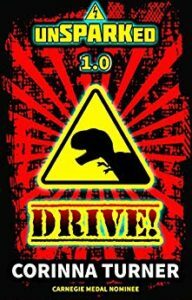 In Drive!, she takes the reader into a Jurassic Park type of society where dinosaurs, and the danger they pose, are quite real. This story is the first in her unSPARKed series, where we meet, Darryl, her brother Harry, their father, and his fiancé. Though the story is brief, it is jam-packed with intense action. The main character, Darryl, is one tough teen who can take care of herself. Unfortunately, the rest of this series is not yet available. I, for one, can’t wait to read more. This story is the longest of this month’s recommendations and is technically a novella. It was so much fun to write because it combines the characters from two of my YA novels, The Perfect Blindside and An Unexpected Role. When Sophie, Jake, Ryan, and Josie spend a week together on a family vacation in the Colorado Rockies, they become involved in an all-new mystery. (Sophie and Ryan are cousins – surprise!) This story is told from each of their perspectives, giving each chapter a unique voice. 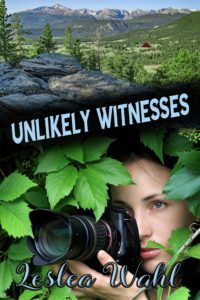 Intrigue, adventure, and the message of being an unlikely witness for Christ fuel this fun adventure. You can get this ebook for less than a dollar. This short story from AJ Cattapan takes the characters from her middle-grade novel, 7 Riddles to Nowhere, on a new adventure. One of my favorite parts of 7 Riddles to Nowhere was the tour of Chicago that Cattapan provides the reader through her incredible descriptions. She has done that again in The Monk’s Castle which is based on an actual mansion in Chicago. Expect the unexpected when Kam and his friends attend an event at the haunted castle, and one of them goes missing. 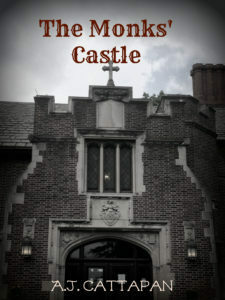 The Monk’s Castle is available as a free download. 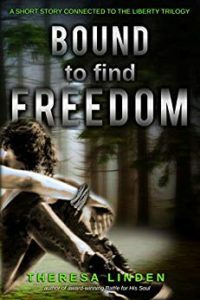 Bound to Find Freedom is a short story featuring characters from Theresa Linden’s Liberty dystopian trilogy. When young teen Andy sneaks off to help with his older brother Dedrick’s mission to rescue people from the government-run city of Aldonia, things don’t go as planned. This story gives reader an introduction to this dystopian world that the author has envisioned. As always, Linden has created some memorable characters and powerful messages in this exciting story. Bound to Find Freedom is available as a free download. 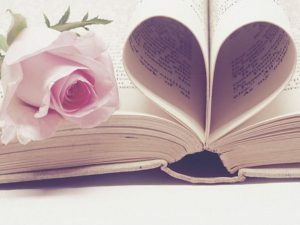 Thanks for linking up with An Open Book! I love to intersperse some short reads between the longer ones. These are some great ones.